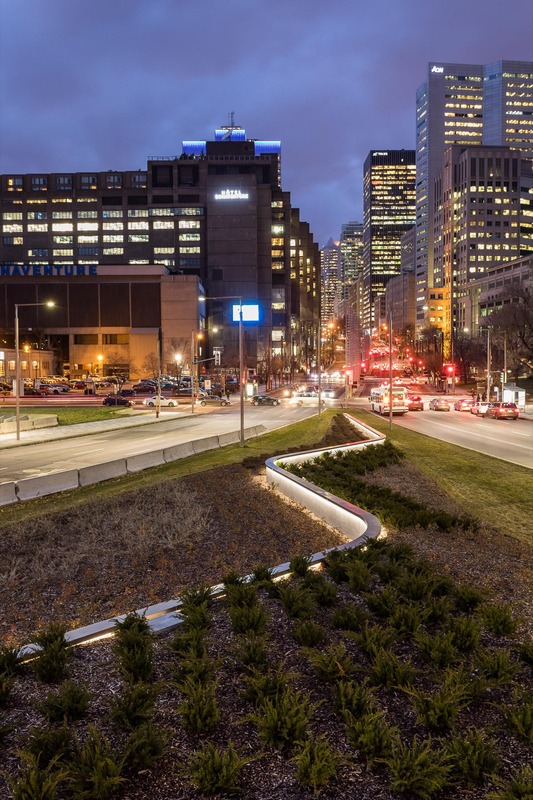 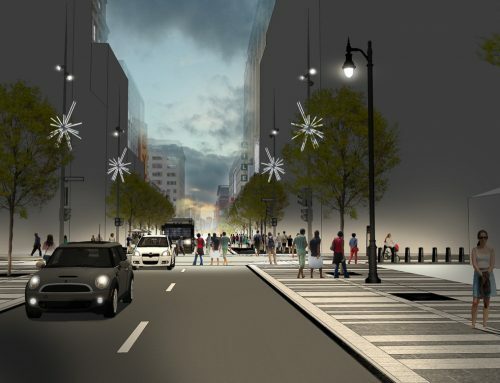 As a major city entrance of south downtown Montreal, the transformation of the Bonaventure Expressway into a prestigious urban boulevard led to the illumination of urban walkways and urban art pieces. 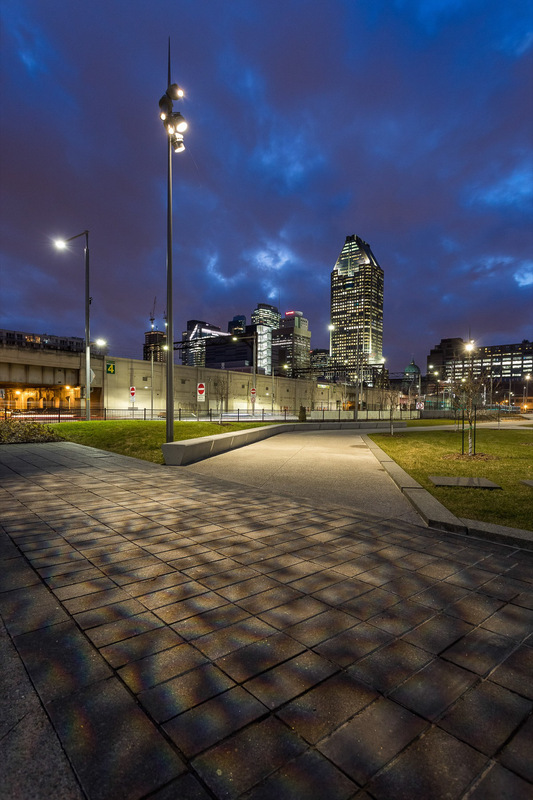 Inaugurated on the city’s 375th anniversary, the illumination accentuates the richness of Montréal’s multicultural identity. 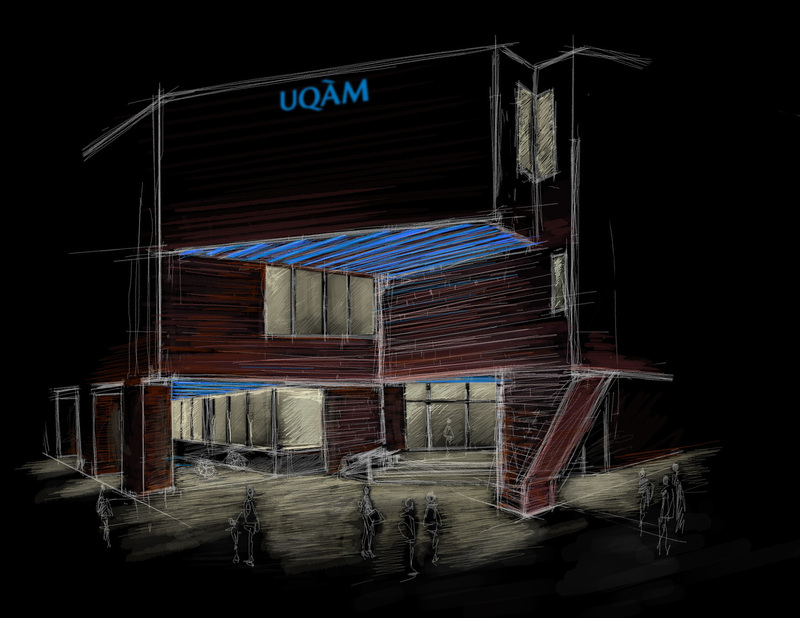 The illumination aims to enrich the nightlife experience of users and to offer safe environments while valuing and enhancing the quality of the spaces. 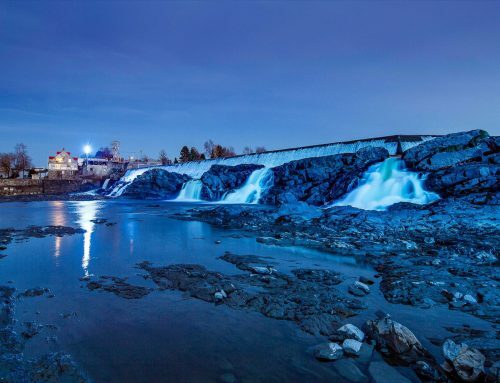 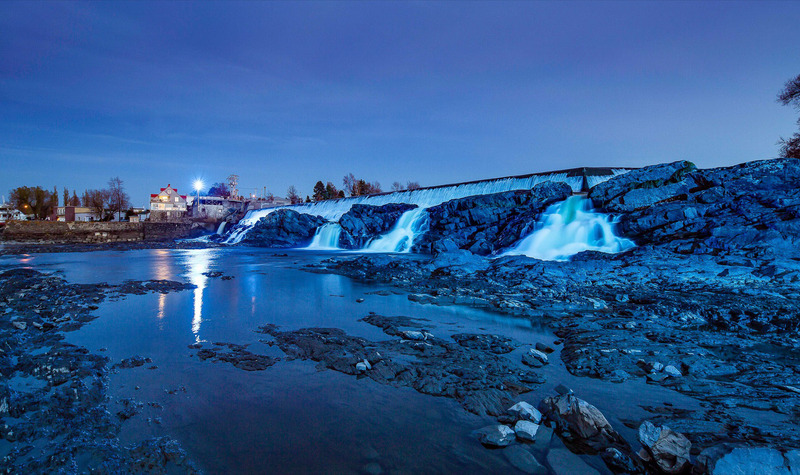 The white light shows the urban character of the site while revealing the attraction of the place in the evening.